The Bearing Mounted Clutch is a "Normally Off" type Clutch. It has 2 basic of a coil and a rotor faced with friction material held to the stator by means of the bearing and the Armature plate. 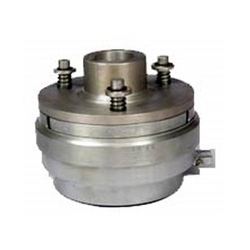 In order to keep pace with never ending demands of the customers, our company is instrumental in presenting excellent quality assortment of Bearing Mounted Electromagnetic Clutch. Keeping track with latest market development, we are devotedly engaged in trading a wide assortment of Bearing Mounted Clutch. 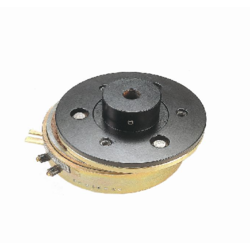 With an objective to fulfill the ever-evolving demands of our clients, we are engaged in offering a wide assortment of Electromagnetic Bearing Mounted Clutch. Applications: Textile Machines, Material handling equipments Etc. Textile Machines, Material handling equipments, Steel Plant Machinery, Packaging Machines, Marble Cutting Machines, Stone Polishing Machines, Industrial washing machines, Photocopiers, Plate saws, Door opening systems etc.